Abracadabra Leaflet Distribution is committed to providing all it’s clients with an efficient and above all reliable GPS tracked leaflet distribution service. In fact, we want you to have total confidence when you place your order that all your leaflets are going to be delivered through the letterboxes on time. What better way to give you that confidence than to offer a Money Back Guarantee on all our leaflet distribution rounds. We speak to clients sometimes who want to market their business through leaflet distribution but due to bad experiences in the past, they are hesitant. Often they have paid a leaflet distribution company money in good faith, trusting that their leaflets will be delivered. If the company does not use GPS tracking it is difficult to know whether the leaflets have been posted through letterboxes or not. With our combination of reliable, trained and trustworthy distributors, GPS tracking and our Money Back Guarantee, we can (alleviate) that worry. 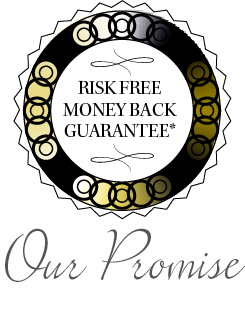 Our Money Back Guarantee is based on our GPS tracking reports that we send you at the end of each round. With the latest GPS tracking technology, we use trackers to monitor and log our distributors movements to within two metres. On completion of the round we forward the file to you so that you can view the exact route that the distributors took to deliver your leaflets. In the very rare and unlikely event that something goes wrong with one of our GPS devices, it might appear on your GPS report that some of the streets have not been delivered to. It is normally the case that the distribution has genuinely been completed properly but if we can’t prove it by providing the completed GPS tracking report or at least the back-up paperwork that we still require our distributors to fill out as they deliver, then we will simply refund any proportion of the distribution for which there are no tracks! We are dedicated to providing GPS tracked leaflet distribution of the highest industry standards and have long standing relationships with many of our customers who return time and time again. We are also a member of the LDO (Leaflet Distribution Organisation) and abide by its Code of Practice.